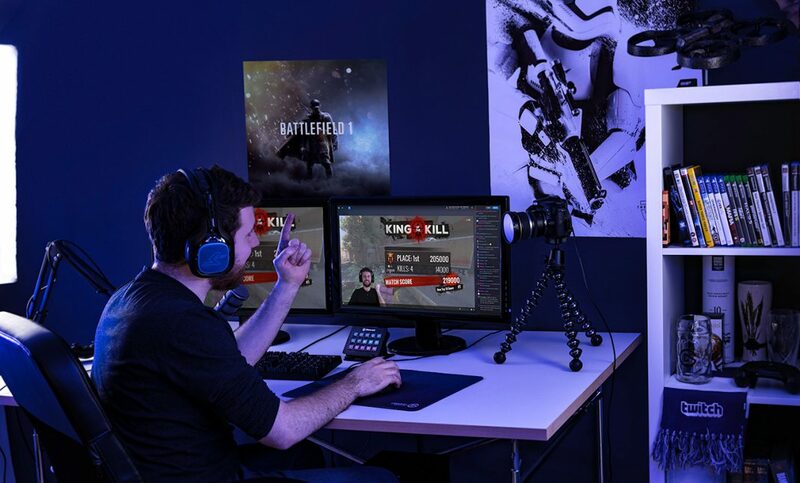 Elgato makes some of the best small form factor capture gear on the market, and today they’ve announced the next step in their mastery of the streaming world — a simplified pair of products for content creation. Today marks the launch of Cam Link and Green Screen – two new tools to help content creators with their projects. Green Screen is precisely what you think it is — a collapsible chroma key panel that can zip down into a compact body for easy storage. What this means is that you could simply pop the Green Screen up during a LAN party and broadcast immediately, and then carry it with you without the trouble of dealing with cumbersome clips and obtuse stands. The Green Screen comes in at 58.27″ x 70.87″ when extended, dropping to a scant 64.76″ long tube only 4.13″ tall and 4.53″ wide. It weighs 20.5lbs, and that comes from the sturdy base and the 100% Polyester Dupont screen. The Cam Link is a little more specialized. A small USB pass-thru, the device is meant to take your one camera output feed and push it to Game Capture, OBS, Skype, Twitch, YouTube, Mixer, and more, all at 1080p and 60fps. This lets you offload your camera’s output, pushing it directly to your computer’s hard drive instead of having to capture it on the camera, export it, and then import and manipulate it in post production. Simplified workflow means faster content creation with fewer steps. The two devices shipped today, with the Cam Link coming in for an MSRP of $129, and the Green Screen dropping at $149. Both are going to appear on Amazon shortly. If you are a content creator, these may be exactly what you need to take your game to the next level. I know as a rookie YouTuber, I’m going to be looking at both.